Our whole school training and support package is a game-changer. We give schools the framework to build a consistent and effective approach to the way everyone manages behaviour and builds relationships. We really, honestly, know how to achieve consistency. These are the routines, rituals and rules that everyone signs up to. We believe every school should have them and make them explicit. Not a big book of them; 2-sides of A4 will usually suffice. When we’ve truly embedded Tier 1 practice across school, only then can we really know who our Tier 2 and Tier 3 pupils are. And, by the way, this is the very best way to protect your already overworked inclusion/pastoral team! Ongoing project management and support using www.asana.com. We don’t just do the training and then leave you to it! This is the first thing we do. We’ll find out what’s going well and the areas you’re looking to improve. Schools are different; your catchment will be unique. We’ll tailor our approach to your circumstances to help ensure success. Great practice will already be going on at your at school. We don’t dismantle stuff that’s working; we’ll help you build on it, spread it and embed it across the whole school. In our experience, all the strategies to manage behaviour effectively will already be going on in your school. We just make sure everyone is using all the great strategies, all the time. Our approach sets out to ensure the balance between support and limit-setting. In other words, we’ll help your staff nurture with structure. The teachers we all liked at school were invariably really nice and really strict (our book tells you more about this). 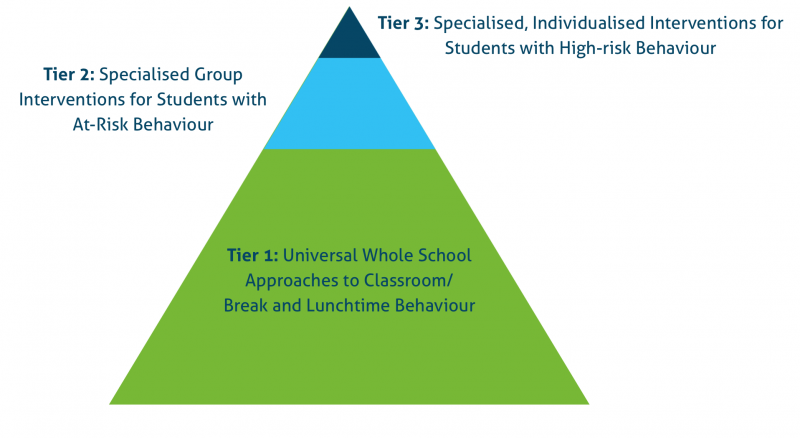 This is our aim for our initial Tier 1 training – to create very nice and very consistent classroom practitioners. This training is not just for teaching staff. The training is most effective when learning assistants, lunchtime supervisors, administrators, volunteer helpers and even headteachers attend our training. It’s brilliant training and brilliant value. It might be a cliché but we should never underestimate the power of “all singing from the same hymn sheet”. We’ve got hundreds of strategies to share, all of which are explained within our over-arching philosophy, which is easy to understand and easy to implement. All of our work is based on research (check out www.pbis.org/research for more details), but it’s firmly grounded in decades of teaching and leadership experience.